Russell V. Combs is experienced in many aspects of business incubation, including incubator management, entrepreneurship training, development of technology-based facilities and training programs, management of governmental programs supporting economic development, as well as business consulting in the private sector. 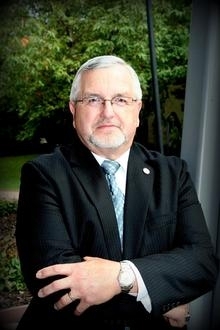 He currently serves as Executive Director of the Erie Technology Incubator at Gannon University Erie, PA. Previously he directed a regional multi-facilities business incubation project in Northern Virginia. His administrative experience has included direction of the Tech Ventures division for a community development non-profit corporation. This included management of a youth entrepreneurial development program, a technology-based business incubator, and four community technology centers. He has directed the administration and marketing of an Economic Development Zone initiative in rural New York, which included strategies of growth, business incubation, and expansion for over 65 businesses. The program was recognized globally for its successes as an “incubator-without-walls” project. He also served as the director of a Microenterprise, Entrepreneurial Assistance and ARC Second Stage Business Counseling Program, including a state-of-the-art computer lab focusing on workforce development and skill sets improvements. This initiative resulted in over 100 small business start-ups within a six-year period with a 94% success rate. Mr. Combs also was the architect and administered the formulation of a five-community human services and economic development initiative resulting in creation of five diverse programs that received special recognition from New York State Department of Youth and Department of Social Services, as well as New York Department of Economic Development for business retention and expansion strategies within the five communities. Mr. Combs has worked in the private sector as CEO and Senior Consultant of his own business that restructured failing companies. All businesses assisted remained in operation retaining over 1,000 jobs. Mr. Combs received his Bachelor of Arts degree from Dayton Bible College, Dayton, Ohio, in 1972. Since graduating, he has continued his studies in Business Administration and Management, as well as Management/Labor Relations. He received his certification as a Business Incubation Professional, awarded by the National Business Incubation Association, in 2009. He served as President of the Virginia Business Incubation Association. He is active in the National Business Incubation Association, the Appalachian Regional Commission, and is a frequent presenter at their conferences as well as other state and regional incubation conferences. He was also a presenter at the International Business Incubator Conference in Hong Kong.